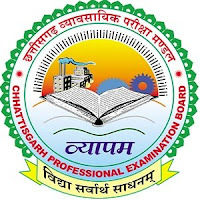 Professional Examination Board, popularly known as Vyapam, is a professional examination board of Chhattisgarh , India. It conducts various tests for admission to professional courses and streams. Applicants who have completed Under Graduate, Post Graduate, B.Ed, TET or equivalent from a recognized Institute for CG Vyapam Sarkari Naukri 2019. Eligible & Interested candidates can apply via online in Official website page at www.cgvyapam.choice.gov.in CG Vyapam Sarkari Naukri 2019. Take a print out of CG Vyapam Sarkari Naukri 2019 online application form.